The rustic elegance of the Buschbeck San Remo masonry barbecue fireplace with its contrasting white granite structure and brown fire box and fuel storage area gives it a very distinctive appearance. Inset within the mantlepiece is a real copper insert which compliments the overall visual impact of this barbecue. For use with charcoal and wood. 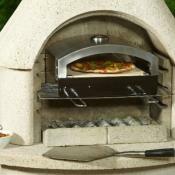 Not only is the Buschebck San Remo a brilliant barbecue but it is also a fantastic natural fuel fireplace / patio heater. For cooking, the Toscana has three adjustable cooking heights and comes with a heavy duty chrome grill with plenty of space to grill on for even the hungriest of gatherings. White granite structure and brown fire box. 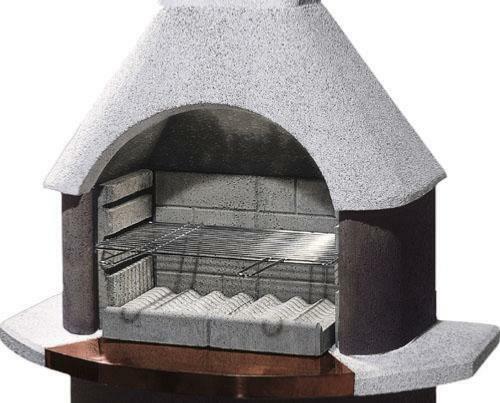 As with most of the Buschbeck barbecue fireplaces, the double skinned construction of the Buschbeck San Remo means it can burn several different types of fuel. 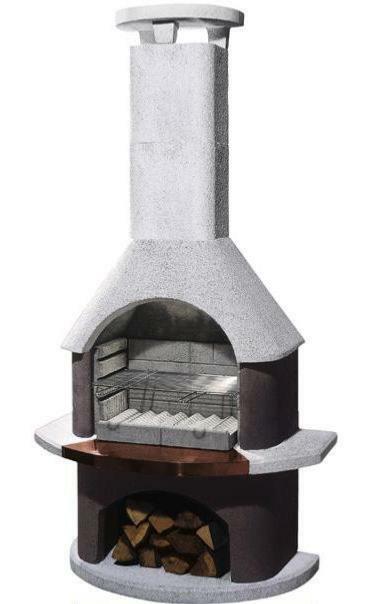 Allowing you to start off cooking on charcoal and then moving on to logs or firewood when you want to sit round the fireplace to keep nice and warm! As far as maintenance goes there is little or nothing to do. If the barbecue's appearance becomes at little "weathered" to your liking, simply use a jet wash to clean it down! 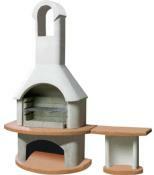 Colour: White & Brown granite with a real copper insert within the mantlepiece. Fuels: Burns charcoal (briquettes or lumpwood) & logs or firewood. Double skinned construction Steel reinforced components. Heavy duty chrome cooking grill. Please allow 7 to 14 Days for Delivery. 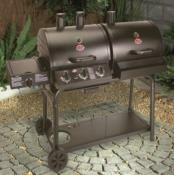 Buschbeck Masonry BBQ Heavy Duty Chrome Plated Grill 54 X 34.